3. Build into a project's schedule and budget the time and costs of review by individuals not involved with the initial design. 4. Have a final design review after all documents are prepared. Late changes can have a major impact upon quality. 5. Get people to job sites as a continual training process. This is especially important for designers and drafters working on details, and will improve the quality of their work. 6. Make sure cost estimates are accurate. Develop inhouse expertise, use an outside expert cost estimator when necessary, and continually update and check the cost of items with suppliers and contractors. 7. Assign only one project manager to see a project through from beginning to end. • Make it clear that everyone in the firm is expected to develop his or her talents. • Write a development plan for any individual you've chosen as a potential successor. • Review individuals each year to check on their progress and determine current development needs. • Make sure employees understand the criteria for leadership and ownership. • Make sure prospective leaders understand the distinction between ownership (investment) and employment (doing a good job for pay). • Train prospective leaders and owners in the business. Discovering and nurturing the future leaders of your firm is imperative, especially when considering Ownership and Leadership Transition. Even if you aren't ready to start the process today, you should start planning for the inevitable now. Successful transitions typically take 10 years to accomplish… most owners wait too late to start the process and harm the realization of firm value. PSMJ has been addressing the issue of design firm ownership transition for 34 years and is holding two Ownership and Leadership Transition Roundtables for the leaders of today's A/E/C practices just like yours – February 11-14, 2013 in Beaver Creek, CO and May 7-9, 2013 in Chicago, IL. Together we'll walk through a structured, logical approach to developing practical planning tools for your firm's Ownership Transition. Click here to register now! It is much easier and more rewarding to sell to an existing client than a new client. This old truth still rings true. Building trust takes time, and time is money. But it is five to eight times more expensive to get a new client than to keep a current one. What happens after your first project with a new client is awarded can make or break the long-term relationship. Remember, you and your firm are "under the magnifying glass" during that first project opportunity. It is not that the client wants you to fail; in fact, the opposite is true… the client wants to look as if he or she made the right choice in hiring your firm. • Review project expectations with the client routinely. Most clients will make time for consultations on work products, schedules, budget, sub activities, etc. • Ask the client to show you a properly prepared invoice. The client can remove any indication of the invoicing firm, but it is to your advantage to know how the client likes invoices to look. Hint: This step can get you paid quickly. A client who receives an invoice that requires lots of wading through to understand will often put it in the "act later" file… delaying your payment unnecessarily. • Carrying this one step further, if there are intermediate deliverables or monthly status reports, ask to see others in a client-approved format. The more familiar you can make your documents to the client's eyes, the better. • Get to know the client even better during the first project. Invite her into your office for a lunch and learn session. • Ask lots of questions. Be curious about how the client's business really operates. • Learn how the client prefers to communicate. If the client likes to respond to emails but never seems comfortable on the phone, take that into account and use email for routine communications. As millennials now become clients of the present and future, text messaging will be another powerful communications medium. • At the project's end, ask for a formal debriefing with the appropriate client representative(s). Ask all the tough questions again… what could we do better; how did we communicate best with you; what was your most and least favorite part of working with our firm, etc. This client satisfaction survey should be a regular part of your project wrap-up, but especially with the first project opportunity with a client. The overall concept is to make the client's experience with your firm as comfortable and familiar as possible. Cement your relationship early in the process. There's no better way to get repeat work. This fall, PSMJ is has 2 locations remaining to give your project managers the tools and confidence needed to join the ranks of the world's most successful project managers. Register today! All projects have problems and speed bumps along the way. Many firms hold “lessons learned” meetings following project completion, discussing and analyzing what went wrong – or right, sometimes – to determine how the next project can benefit and improve from the last one. The goal of these meetings is to avoid making the same mistakes over and over, and to repeat the actions or factors that were successful. If appropriate for the format, include some of what was discussed in the Project Management Plan (PMP), and share the pre-mortem with your client. It’ll help them understand where problems and glitches commonly surface, and it’ll show them that your team is already thinking ahead, making sure that the project runs smoothly. 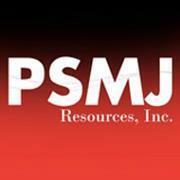 This fall, PSMJ is providing 4 locations to give your project managers the tools and confidence needed to join the ranks of the world's most successful project managers. Register today!